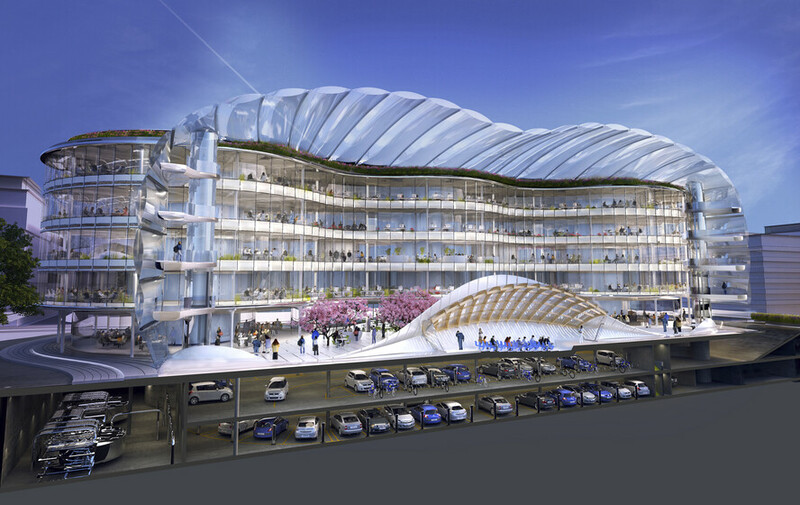 The aspiration is to create a class-leading environmental design for the 20,000m2 Biomimetic Office development. 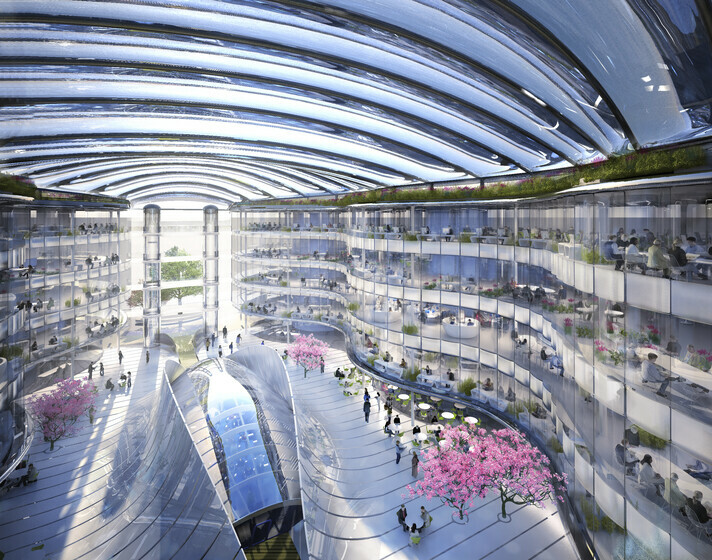 As such, the building has been designed to adopt and utilise local climate patterns and resources to optimise the building’s environmental performance, and has a number of features inspired by nature incorporated into the design. To minimise energy consumption for cooling, the proposal is to harvest the natural swing of temperature during the day and night cycle. This can be achieved by mechanically drawing air through thermal mass at night to take advantage of the swing in temperature. By cooling the mass down in this way it can be used to provide coolth during the hotter days. 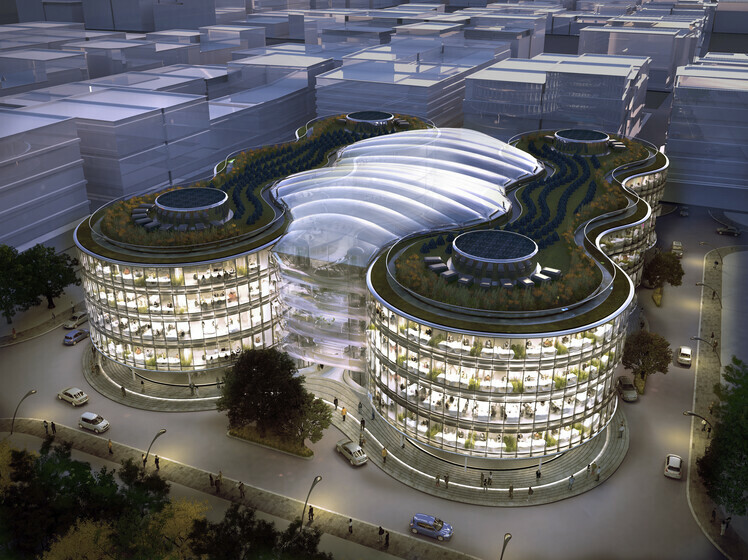 Using a thermal dynamic simulation tool, we can demonstrate that the thermal performance of this low-energy cooling system is so sufficient that the building’s general office area can rely solely on the earth duct and slab cooling system for cooling and omit the chiller plant (IT cooling and high density meeting facilities excluded). To generate high-grade heat, and if required high-grade cooling for sever rooms, the use of heat pump technology is proposed. These machines work by moving heat or coolth from a low-grade source to a high-grade supply. In addition to harvesting energy from the external environment, heat pump systems can harvest waste energy streams from within the building to be used effectively elsewhere. In modern office buildings there are areas that tend to have a continual cooling requirement, like server rooms, and areas that have a continual need for heating, like domestic hot water supplies. Like a circulatory system heat pumps can move heat from the areas requiring cooling to a place that requires this heat and effectively recycles energy renewably.